Recently described as ‘one of the best construction lawyers and silks of his generation,’ (Chambers and Partners 2018) and “one of the best advocates in the country, with a ferocious memory for facts and details.” (Who’s Who Legal 2018), Adam specialises in onshore and offshore construction, engineering, energy, shipbuilding and technology disputes along with professional negligence and insurance claims related to these sectors. 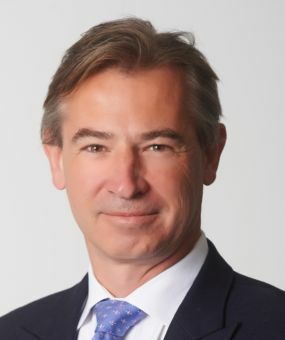 His client base is both domestic and international, and he has extensive experience appearing in the UK Courts (TCC, Commercial Court and Court of Appeal), and representing multi-national clients in front of Tribunals constituted under numerous international arbitral rules, including ICC, LCIA, SIAC, DIAC, NAI, UNCITRAL, SCC and LMAA. Industry commentary notes Adam’s reputation for his mastery of complex factual and technical detail, devastating advocacy with a client-friendly approach. Rare amongst those from a specialist set, Adam is currently recommended by the Chambers & Partners and The Legal 500 directories across five categories: construction, energy, international arbitration, professional negligence and shipping. He is also recommended in The Legal 500 EMEA 2018 guide as a leading silk in construction and in the Legal 500 Asia Pacific 2019 guide for energy. Adam was nominated for the Legal 500 International Arbitration Silk of the Year 2017; Construction & Energy Silk of the Year in 2017 and 2018 and Chambers & Partners 2016 Construction Silk of the year. Adam was ranked top in Who’s Who Legal Most Highly Regarded in 2019. Adam regularly advises clients on all forms of Alternative Dispute Resolution and has represented clients in mediations, early neutral evaluations and expert determinations. He is regularly appointed as adjudicator, international arbitrator as both party nominated appointee and chair, and has acted as an independent expert. Adam is the General Editor of the leading text in its field, Keating on Offshore Construction and Marine Engineering (2nd Edn, published September 2018), and is co-author of the new authoritative title ‘Litigation in the TCC’. In addition, he is a co-editor of Keating on JCT Contracts, a contributor to Keating on Construction Contracts, a co-editor of Keating of NEC, a consultant editor of Construction Law Reports and contributing author to Oil & Gas: Contracts and Principles. Retained by joint venture to advise upon rail infrastructure upgrade works. Significant experience in many technical aspects of alleged building and structure failures, including curtain walling glass failure, stone cladding, concrete floors, water ingress, and fatigue analysis. Numerous M&E related disputes, involving concert halls, hospitals, laboratories and luxury hotels. Retained in relation to many high profile construction disputes, including the Cambridge Busway litigation, the refurbishment of Wimbledon Lawn Tennis complex, the ‘B of the Bang’ litigation, the Channel Tunnel high speed rail link; Weston Super Mere pier, Westfield Shopping Centre and the London Aquarium. Instructed in relation to a multi-million pound Arbitration arising out of the construction of a polysilicon plant in the Middle East. ICC Arbitration regarding the significant upgrade of a refinery in southern Europe. Parallel ICC and Swiss CC arbitration’s relating to the construction of a mine shaft. Arbitration between UAE employer and contractor relating to the construction of a multi-million dollar retail and commercial facility in Dubai. ICC arbitration relating to a major international gas pipeline project. ICC arbitration relating to supply of gas turbines. LMAA arbitration relating to the construction of two semi-submersible rigs. LMAA arbitration relating to the ownership of Charterer’s spread installed on a Vessel. High value UNCITRAL arbitration relating to the construction of shopping and commercial facilities in Dubai. DIAC arbitration relation to the Dubai airport project. Multi-million Euro LCIA arbitration relating to the construction of a wind-farm. UNCITRAL arbitration about the nature and extent of payments under a Joint Production Agreement relating to the development of an oil and gas sector in Indonesia. ICC arbitration relating to significant upgrading and modification works to a power plant in petrochemical plant in Europe. Multi-million euro TCC litigation relating to the decommissioning and dismantling of platforms in the North Sea. Multi-million euro TCC litigation relating to the construction of a Soft Yoke Mooring System. Substantial Commercial Court claim arising out of a blow-out at an Oil Well in Uzbekistan, involving numerous technical and legal issues, under Uzbekistan law. Advice in relation to significant disputes relating to mining operations in Russia. ICC arbitration relating to a major Middle East gas pipeline project. Substantial adjudication and arbitration relating to the design and construction of a UK biofuels plant. Expert determination relating to the design, construction and operation of a combined cycle gas turbine cogeneration facility producing electricity and industrial steam. Multi-million ICC arbitration relating to the construction of offshore pipelines in West Africa. Acted for yards and owners in relation to disputes arising out of the construction of luxury super-yachts, including a arbitration arising out of one of largest super-yachts in the world. Final account dispute relating to the construction of a UK offshore windfarm. Multi-million pound high court litigation about the construction of a soft yoke mooring system. High value international arbitration relating to the construction of three chemical tankers in China. Construction of semi-submersible rigs in Korea. Numerous different significant disputes relating to the completion and handover of ships constructed in Chinese shipyards, variously retained by both yards and owners. Commercial Court litigation relating to construction of special personnel vessels. Acting as Chairman of Tribunal concerning disputes arising from the world’s largest construction vessel, designed for the single-lift installation and removal of large oil and gas platforms and the installation of record-weight pipelines. Represented defendant architect in high value TCC litigation arising out of the construction of a school complex. Acted for D&B contractor against specialist designer of waste management plant. Adjudication and High Court proceedings relating to the negligent structural design of a substantial waste plant. High value TCC litigation against professional team in relation to a hotel construction. Representing the Claimant in relation to negligent advice, design and interim valuation and certification by architect and contract administrator in a residential refurbishment. Action against professional Project Manager and QS in relation to the construction of student accommodation. Substantial adjudication proceedings against civil and structural designers in relation to a major UK bypass scheme. Advising in relation to a number of different disputes arising out of the London Underground PPP agreement. Advice and representation in numerous projects relating to the construction and operation of schools, academies, retirement estates, hospitals, and prisons. Chairman of Tribunal under NAI Rules concerning disputes arising from the construction of a vessel designed for the single-lift installation and removal of large oil and gas platforms and the installation of pipelines. Chairman of ICC Tribunal in billion-dollar dispute in respect of a major infrastructure project in Western Australia. Party appointed arbitrator in multi-million dollar ICC dispute relating to the construction of a gas pipeline in Australia, under ICC rules. Party appointed arbitrator in LCIA arbitration relating to a supply contract in Iraq. Party appointed arbitrator in LCIA arbitration, seat and law of Trinidad and Tobago, relating to an infrastructure project. Sole arbitrator in ICC arbitration relation to the construction of a hospital in Ireland. Arbitrator in UK dispute in relation to property damage at commercial premises. Appointed as Adjudicator in numerous construction and engineering related claims. Adam Constable QC is identified as one of the leading lights of construction advocacy at the Bar. Adam Constable QC leads our construction research and is widely regarded as one the leading silks in the field. Sources are quick to note that he is “the best there is” with others describing him as “an extremely good, very personable and very effective advocate”. "Very bright and approachable, and excellent at coming up with practical solutions." "He's absolutely first class; he has great intelligence and strategic insight, and is also very commercial and exceptionally hard-working." "Terrific at cutting through the complicated and is fantastic on his feet." "He will be one of the leading silks for many years; his judgement, grasp of detail and intellectual quality make him great to deal with." "One of the best advocates in the country, with a ferocious memory for facts and details." "Truly exceptional and everything you could want in a leading counsel. He is very hard-working, a superb advocate and has excellent judgement and client-facing skills." "He's one of the best construction lawyers and silks of his generation." "Just brilliant - his preparation is second to none and he is superbly eloquent." Litigation in the Technology & Construction Court – Co-Author 2018. Keating on Construction Contracts – 10th Edition Contributor 2016. Oil & gas Contracts: Principles and Practice – Editor 2016. Keating on Offshore Construction and Marine Engineering – Editor September 2015. Keating on NEC – Contributor. Construction Law Reports – Co-Editor. Construction Claims- RICS Case in Point Series Adam Constable QC and Calum Lamont November 2007. Building Defects – RICS Case in Point Series Adam Constable QC & Calum Lamont July 2006. Keating on JCT Contracts – Member of the Editorial team. Adam enjoys spending time with his young family, rugby, and the odd card trick. He attempts to play keyboards in a band, oddly named The Ruggs. Adam is Chairman of the Board of Governors at Fairley House School, a London day school which specializes in dyslexia and dyspraxia. He is also Chairman of the Putney Common Association.